Mens Large The North Face Hydroseal Ski Gloves. Condition is Used. Some cracking on the material around the fingers but doesn’t affect functionality at all! 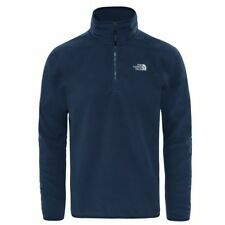 North Face Base Layer / Fleece Small. Condition is Used No reserve Part of a large collection of cycling kit due to clear out, please see other items. The North Face Snowboard /Ski Trousers Mens Small With Matching Belt. Condition is used. A few little marks on the ankles from where the trousers have been worn over time with the ski boots but ideal first pair of trousers for new skiers/boarders. Dispatched with Royal Mail 2nd Class. Selling because I have outgrown. North Face Ladies Ski Jacket White - Size Medium. Condition is Used. There is a faint mark on the back of the jacket which is shown in the photo's but this may wash out. The jacket is very warm. There are 3 outside pockets and one inside. The North Face Ladies Ski Jacket Size Medium with detachable hood. This ski jacket is really warm, a nice fleecy lining and snow skirt to keep you warm and dry and the snow out! Loads of useful pockets for goggles, phones, ski passes and also has Recco Avalanche Detection System. New and Unworn Mens North Face Fourbarrel Dryvent Ski Jacket. XL. New With Tags. Condition is New with tags. RRP £270. Dispatched with Royal Mail 1st Class. The North Face Ski Trousers, Salopettes Size Large. Condition is Used. No rips around the bottoms, all good. Boys Blue north face Ski Jacket. Blue grey and black. XL. Would fit teenage boy. Great condition. Dispatched with Royal Mail 2nd Class. 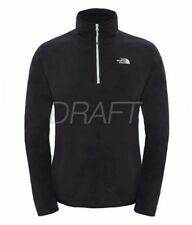 north face salopettes Large Black. Condition is Used. Dispatched with Royal Mail 1st Class. Size M. WOMENS snowboard trousers. Used but in very good condition. This is a great pair of trousers by THE NORTH FACE. This is a waterproof, windproof and weather protection all in one. There is also a belt. There are great zip up pockets too. You will look very chic on the slopes this session. Size large. This jacket is 100% genuine and was Originally bought from North face website for £300. With a sporty design and snow-specific features, this classic ski jacket is designed to protect you from wicked winter weather. Men’s North Face Black ski trousers 32in Adjustable Waist, 30in Leg, Front Zip Pockets. Condition is Used. Dispatched with Royal Mail 2nd Class. Black North Face Ski Trousers Size S/P. Condition is Used. Dispatched with Royal Mail 2nd Class. Mens Grey north face Hyvent ski jacket Size Medium. Condition is Used. Dispatched with Royal Mail 2nd Class. The North Face Women's Ski / Snowboard trousers. Size M. Waist 30". Leg 30". The inseam actually. The North Face website. Very good used condition, but there is one small 'nick' to the end of the right leg hem (see photos). mens North Face ski jacket small. Condition used. Very good condition only been worn twice while skiing. You are buying a pair of immaculate The North Face Ski Trousers ladies size large (approx. These are black and have a pink lining. They have the North fact logo on the front and rear of the trousers and are perfect. ). Womens NORTH FACE black Gloves in size Small - Montana Goretex Warm. Excellent quality. Etip fingertips works with touchscreen devices. I bought these gloves just a couple of weeks ago, from the North Face store, for a skiing trip but I wore them for about 5 mins and decided I preferred skiing without gloves! Worn once so like new. Dispatched with Royal Mail 2nd Class. If you need sooner then let me know as I can upgrade postage. The North Face - Men’s Hyvent Ski & Snowboarding Trousers - Black - S. Condition is Used. Dispatched with Royal Mail 2nd Class. Had adjustable waist, 2 front and 3 back pockets, inseam leg vents and two cargo pockets. The North Face Ladies Black Jacket With Detachable Hood- Size Large but id say that it’d fit a size 10/12. Condition is Used but in good condition. Dispatched with Royal Mail 2nd Class. 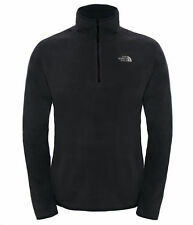 OFFERS WILL BE ACCEPTED The North Face Steep Series Salopettes Medium. Condition is Used. Dispatched with Royal Mail 1st Class. Some wear. No returns. North face ski jacket xl. Condition is Used.It is black and grey , it has a snow skirt and h20 inner facility.Its a cracker jacket and really warm.. Dispatched with Royal Mail 1st Class. North Face Code: T0A6TMJK3. Cost New £34. Worn skiing once. Can take more photos if needed. North Face Salopettes, Orange. Brand new with tags. Bought as an unwanted Xmas Present (I already have some). XL Youth/ Small mens. Would fit 30 waist comfortably. Grab a bargain! NEVER WORN GREAT CONDITION. bought wrong size but too late to return. North Face Down Insulated Coat With Fur Hood. more pics or questions let me know :) Dispatched with Royal Mail 1st Class. Fabulous ski/snowboarding/walking jacket in good condition. Grey with black piping and psychedelic lining. Removable faux fur trimmed hood with toggles to adjust. Some very minor wear to the piping which could be coloured in!!! - see pics but in overall great condition. Will be sent tracked and insured. Smoke free wearer and home. Dispatched with Royal Mail 2nd Class. The North Face Exvert Pants "XL" Ski Snowboard Unisex Trousers Salopettes Black. Condition is Used, but good. Please take a look at my other items. If there's anything else you'd like to purchase, please let me know in advance of buying so that I can adjust pricing accordingly to save you money on postage. BNWT The North Face Women's Presena Ski Snowboard Pants - Teaberry Pink RRP £160. Condition is New with tags. This season ski pants, Super cute bright coral/pink ski/snowboard pants, never worn, selling because I’m 5’2” so a little long on me, any questions get in touch! :-) Dispatched with Royal Mail 2nd Class. mens north face ski jacket. Condition is Used. Dispatched with Royal Mail 1st Class. Size S. Some wear in tear as shown in photos. Blue/Grey colour. Waterproof ski pants in very good condition as they were used infrequently. Size small is suitable for waist size 29 - 31 in. Suitable for all snowsports with plenty of pockets and an integrated gaiter to prevent snow getting in your boots.